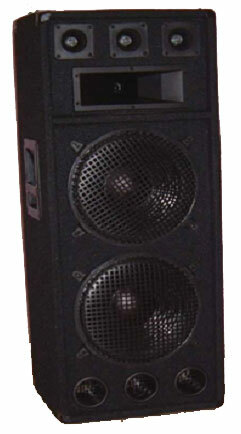 Need a great sound system for your home, business or car? We can design or install sound systems and speaker enclosures to meet your specific size and requirements. Our rates are very competitive and we offer a service that is second to none. We have exclusively designed and performed installations for club venues, bars and specific space saving designs for your home and car. One of our latest projects, adequately named the Mini Notting Hill Carnival type Speaker Cab, has been specially designed for the French fashion house Chloe. Chloe have now moved after having spent years being based at the world famous Harvey Nicolls (Knightsbridge) store. The speakers can be seen and heard as part of Chloe’s modern concept at their first exclusive UK retail outlet at 152-153 Sloane Street, London. The shop’s interior designers (SH Architects) based in the heart of Notting Hill (carnival territory) were looking for a cut down version of the kicking, bass packed, rugged looking speaker cabs, like those used by soundsystems at the Carnival. After spending weeks of computer design and returning to the drawing board time & time again , we came up with this beauty that really does pack a punch. Black carpet covered, fitted with 2 x recessed handles, 8 x black metal corners. Speaker connections on rear of cab via recessed plate containing gold plated banana terminals/binding posts as well as 6.3mm chassis jack socket. Music Power - 300watts maximum. Speaker connections on rear of cab via recessed plate containing gold plated banana terminals/binding posts as well as 6.3mm chassis jack socket.